NEW! 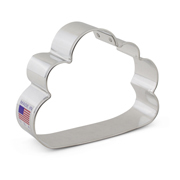 Fly high with our 4 1/2" Airplane Cookie Cutter. It boasts an impressive wingspan and outstanding safety ratings, and it's very kid-friendly. 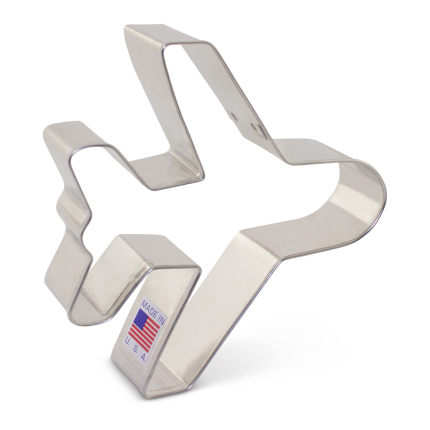 Make airplane cookies for child's birthday party, pilots, airshow enthusiasts or for an adult who's obsessed with the movie "Airplane!" 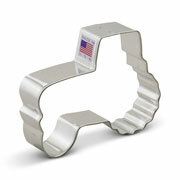 I love my new cookie cutters! Very high quality items, fast shipping, great packaging. Shipping was fast. 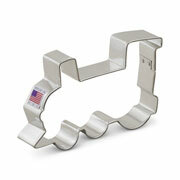 Very sturdy cutter. 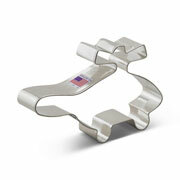 Ann Clark cookie cutters are the best on the market! Very nicely made cutters! I ordered these cute cutters after looking on line and thinking i needed to spend 10x the money on each one and 4x the shipping $ .... I happened on this site and found a bogo sale and shipping was extremely reasonable ! I ordered 10 more than anticipated due to the price! My order came super fast too!